A love that will last a lifetime, a bouquet that will tell them just that. This Forever Romance Bouquet is the perfect gift to tell someone that you you have that special kind of love. 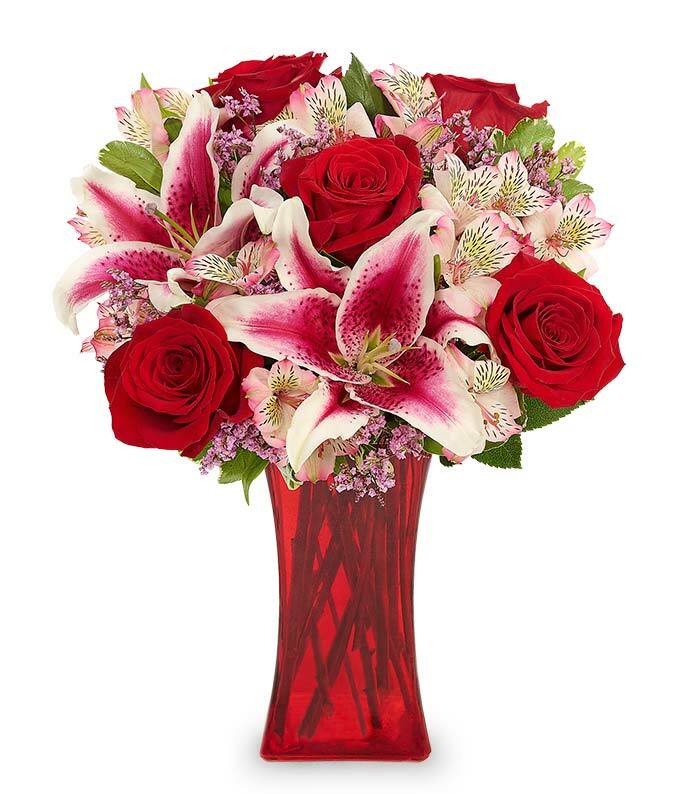 Beautiful red roses surrounded by stargazer lilies in an wonderfully elegant red vase. Make someone's day special with this special delivery.